Why should you use WordPress for your Website? If you have ever created a document using a word processing program like Microsoft Office then you can create a WordPress page. It has a nice easy to use and understand interface and using any number of great visual editing plugins you’ll be dragging and dropping images into you articles, adding sliders, content and features to your website in no time. At Slashdot Web Development we even give you full training on how to use it when you have your site developed with us! At #9: It’s Open Source…which basically means it’s free to use! Thousands of very talented people around the world have taken the time to build WordPress. Open Source software comes with freedom for you to use, modify, build upon, and redistribute the software in any way you like. There’s no licence fees to pay to any one to use the main platform of the software. At Slashdot Website Development we love to actively engage with the WordPress community to find out new and better ways of doing things. We make sure you get the full benefit of this when you choose to have your website built by us. As soon as you install WordPress it comes with some amazingly powerful functionality; blogging, commenting, dropdown menus and so much more. With just a few more clicks you can add plugins that bring even more functionality to your site. There really is no limit when you have a web development team behind you that can help you realise your ideas and turn them into web powered reality. We can build you a website from scratch, redesign your existing site or simply build you a plugin to add the functionality you want. WordPress is optimized for search engines right out of the box. For more fine-grained SEO control, there are plenty of plugins that can do this for you. Google loves WordPress. 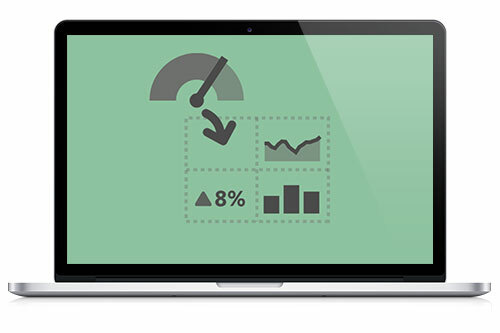 Your WordPress dashboard will show you exactly how your site is performing and what you can do to get your site zooming through the rankings. WordPress does a fantastic job of being mobile friendly when you have the right design applied to your site. It’s blazingly fast architecture means your site appears and and acts like a mobile site should enabling you to keep your customers on your site and getting you the results you are looking for. With over 75 Million websites being powered by WordPress at the moment you will be sitting in great company. From Walt Disney Company to Herald Sun, from Vogue to Toyota, some of the biggest brands on the planet rely on WordPress to power their online web presence. WordPress is developed with security in mind, so it is considered quite safe and secure to run any website. However, just like the real world, the internet can be an uncertain place. A number of real-time plugins help you to monitor your site, leaving you safe in the knowledge your site is being protected from attack. With Automatic Background Updates for Security Releases WordPress is your source for peace of mind web development. You don’t always want to give everyone the same access to your website. Administrators manage the site, editors edit content and authors and contributors write that content, and subscribers have a profile that they can manage so they can see your content. This lets you have a variety of contributors to your website, with different access for different people. WordPress comes packed full of features for every user, for every other feature there’s a plugin directory with thousands of plugins. Add complex galleries, social networking, forums, social media widgets, spam protection, calendars, fine-tune controls for search engine optimization, and forms. We can even build new plugins for you that do exactly what you want it to do. Adding functionality to your site could be as simple as plugging in a plugin and configuring it for you. Wed Development doesn’t always need to be an expensive thing! If you need anymore reason to use WordPress CMS for your website, give us a call on 03 9998 2543 today or get in touch! We’ve been working with Klipfolio for some time now, but we were recently asked to build a dashboard using their newly released AdWords connector. Up until the last Klipfolio update the only way to connect to AdWords, was by linking AdWords and Google Analytics and connecting through the Google Analytics connector. Using the direct Google AdWords API allows you access to a larger range of fields and removes the need of integrating with Analytics. The report our client was after needed to not only look good on screen but also in printed format, as one of the key requirements was for automatic reports to be sent weekly. What they were after was essentially a Campaign Performance Report, with all the standard metrics: Impressions, Clicks, Cost and Conversions. With the new connector making set-up a breeze, the biggest challenge that we faced was grouping and collating campaigns run by three different advertising agencies. With some long, nested formula and a little bit of brute force, all the campaigns are grouped together and displaying as one. We have even managed to incorporate the AdWords Click-to-Call report into the Campaign Performance report, so the client also sees the number of calls. With over 54,000 individual records filtering and grouping data by date range and campaign was a necessity, as no one wants to search through that many records looking for what they want. As a result of this we ended up with three different reports. 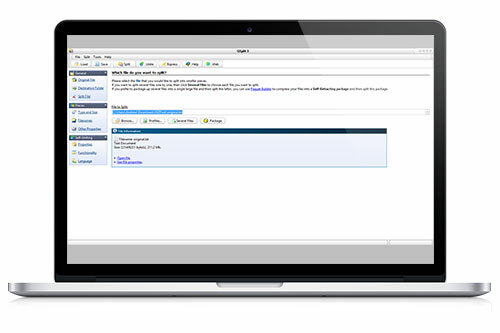 Each of these reports fill a unique requirement and works as a live, on screen report or can be automatically delivered to users across the business. If you have business data that you think could be displayed better, get in touch with us to discuss Klipfolio and what it can do for you. Domain Name Renewal Scams – A Warning! $245 for a Domain Name? What?! If you have received an invoice for a domain name that’s very similar to one you already own but ending in .net.au and with an extortionate price you can pretty much guarantee that it’s dodgy. We’ve noticed a marked increase in the number of our customers that are receiving the invoices through the mail asking them to pay for a domain name that they either don’t need or don’t own. This scam seems to have been going on for a number of years and even has a customer alert put out about it from auDA, the governing body in charge of .au domains. How can I tell if it’s a scam? There’s a number of things you need to look for if you receive on of these invoices. The first thing is the price. 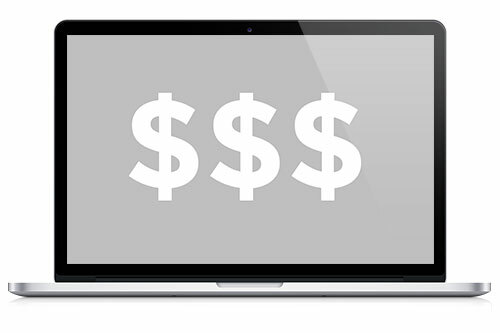 As an example we charge $10 per year for a .net.au domain. If you are paying $245 for a domain then you are paying too much. The second thing to look for is if the ending of the domain matches the one you already own. Is it showing a .net.au instead of .com.au? If so, then it’s probably a scam. The third thing to look for is if the invoice comes from the company that you already use to purchase your domains. If it’s not then you can guarantee it’s just a fishing expedition from the company sending out the invoice. Companies registering your brand in China? Another variation of the scam that we are also seeing more of lately is the Chinese Domain Name Scam. This is where you receive an email like the one below suggesting that somebody is trying to register your brand in a domain name in China. Ignore it, it’s nothing but scare tactics trying to get you to register a domain name that you generally don’t need. We are the department of Asian Domain Registration Institution in China. Here I have something to confirm with you. We formally received an application on October 20, 2014 that a company claimed “PliueHing Company” were applying to register “*****************” as their Net Brand and some “************** Asian countries top-level domain names through our firm. Now we are handling this registration, and after our initial checking, we found the name were similar to your company’s, so we need to check with you whether your company has authorized that company to register these names. If you authorized this, we would finish the registration at once. If you did not authorize, please let us know within 7 workdays, so that we could handle this issue better. After the deadline we will unconditionally finish the registration for “PliueHing Company” Looking forward to your prompt reply. If you are ever in doubt about the legitimacy of an email or invoice we’re always happy to take a look for you. How do you split a large text file up? This week we had to work with a fairly large text file weighing in at over 220mb and containing over 1.9million records from NZ Post. I found that even the 64Bit version of Microsoft Excel wasn’t very happy dealing with that many records in one go. The best and quickest solution for us was to split up the original text file in a number of smaller files, import and edit them in separate sheets and then combine all the edited records in a single sheet ready to save to .csv format. There are number of great programs on the market that can do this for you but we found that Gsplit worked really well for this particular job. It had one great thing going for it from the outset which was the price, Free. I think the program is usually used for splitting large files up into smaller pieces for nefarious purposes (filesharing films etc) but in this case it works really well splitting up the text file and automatically putting a new header into each file. It took seconds to split up the file smaller 45mb files which were easy to import and work with in Excel. The GUI was (fairly) simple to use. I did manage to split it up into the wrong format once or twice but that was mainly because I didn’t take notice of the very obvious instructions, so more user error and than product error. All in all would definitely recommend. If you own a website or are doing research on having a website built you have probably had the words Responsive Design thrown at you from all angles. Responsive design is merely an approach to design to make sure that your website gives the user a great experience whether they are looking at it on a desktop computer, a tablet or a mobile phone. 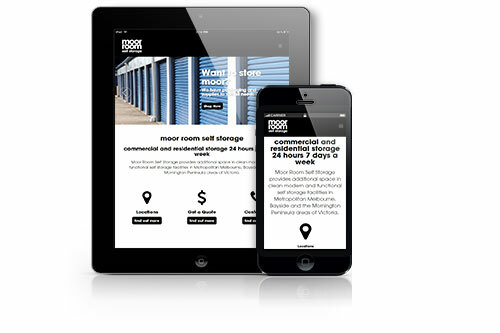 If you look at our website on a mobile phone you will still get all the information that you get when you look at it on a desktop computer, but you’ll find it in a format that fits on your screen, runs quickly and allows you to navigate around in an easy to read way. If you take a look at the stats on Browser Market Share in October 2013 to Oct 2014 you can see that,at a bare minimum, 15% of internet users are using mobile devices. This doesn’t take into account that some of the Chrome and Firefox users may also be on a mobile device. Another even more compelling stat comes from Our Mobile Planet where we find that 90% of smartphone users in Australia use the internet on their device everyday. When you consider that 65% of the total population own or use a smartphone, that statistic becomes even more relevant and shows exactly why you need to consider responsive design for your site. If a potential customer visits your ‘non-responsive’ site on their smartphone and they can’t get to the information they need, they have two choices; visit your site again later on a desktop computer or go to a competitor that does have an easy to navigate site. I know which one I’d prefer! You are potentially losing out on customers simply by not having an easy to browse website. How do I tell if I my site is responsive? The easiest way would be to visit the site on your smartphone. Does the experience change compared to your desktop site? Is it easy to navigate. If you were your own customer would you be able to find what you are looking for? The second way would be to use Google’s recently introduced Mobile Friendly Tool to see how the search engine sees your site. There’s rumours that Google may even give you a rankings boost if your site is deemed Mobile-Friendly. This makes it even more important to ensure your users have a great experience! Right now if you get us to check your Mobile Friendliness, you’ll receive a free SEO Site Audit report worth $150. Simply click here to get started. 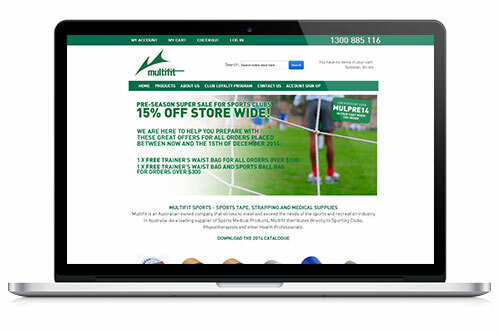 The sports tape, strapping and medical supplies company, Multifit, are running a pre-season campaign for sports clubs and asked us to produce an eDM to be sent out from Campaign Monitor and a promotional slider image to add to the existing website. We added a header to the eDM showcasing some of the products available in the offer and a solid text call out showing the promotion. We then created a simple template for the client in Campaign Monitor. The slider was added to the existing Magento eCommerce site and prominently displays the offer code. 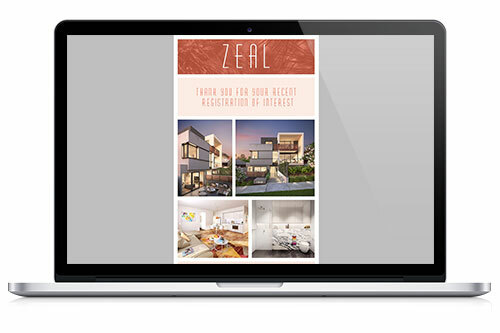 Zeal Apartments are embarking on a registration and information teaser campaign and have asked us to help out with it. We were asked to design and build a HTML eDM to send out for the new campaign. It was to be simple, use the existing colour scheme and imagery and reflect the existing website. It needed to attract the attention of the reader. Usually we love to use Mailchimp or Campaign monitor for our eDM work but this one is being sent out my a 3rd party on behalf of the client. This meant we had to make sure the html was easy to import and edit if necessary. 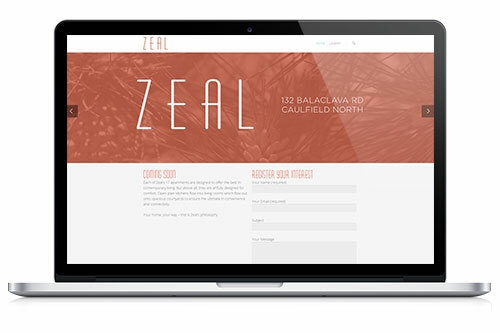 Each of Zeal’s 17 apartments are designed to offer the best in contemporary living. But above all, they are artfully designed for comfort. Open plan kitchens flow into living rooms which flow out onto spacious courtyards to ensure the ultimate in convenience and connectivity. We were asked to build a small landing page/registration site on WordPress. We used Contact From 7 with Flamingo integration for the contact form and the Nectar slider for the homepage slider. The site will continue to grow as the project develops. 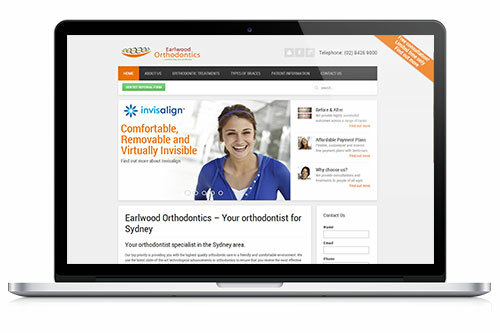 Earlwood Orthodontics’ top priority is providing you with the highest quality orthodontic care in a friendly and comfortable environment. They use the latest state-of-the-art technological advancements in orthodontics to ensure that you receive the most effective care possible. Their goal is beautiful smile and facial appearance for every one of their patients. A beautiful smile increases self-esteem and confidence, and that lasts long after the treatment has finished. We were asked to build a WordPress CMS based website with Avanser integration, contact and referral forms based on Gravity Forms and Social Media integration. 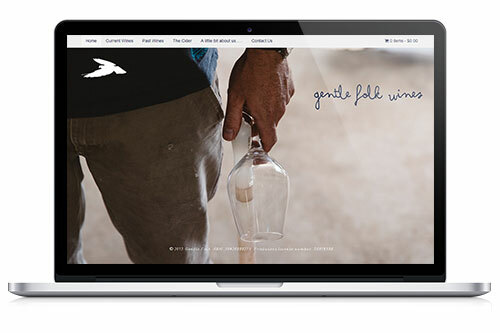 The site is built on the WARP framework and is responsive across all devices. The client required a very simple and clean site to match the existing branding and feel within the surgery.